Almost all modern sociologists believe that religion’s importance is fading within developed countries, that the observation of religious practices, values and beliefs is about to erode within the modern Western world. We could even advance that this affirmation is one of the axioms of the modern social sciences, and is rarely contested. The few voices that do contest such affirmation are mostly from the United States, which is perfectly understandable,since the secularization process is slower in the US than it is in Europe. Moreover, such affirmations are more common today than ever before, which could be explained by the fact that the secularization processes in some countries seemed to be slowed down in response to different aspects of globalization: religion represents one of the main instruments that keep the originality of one’s owns culture and traditions, whereas the importance of growth of religious population in Western countries is causedby the high levels of immigration.Nonetheless,we have to be cautious with statistical data that shows a surge of religious practices in some Western countries, since it is more ofa question of cultural identity,rather than a question of faith –the surge of religious practices in the contemporary world is part of the personal and national identity process within a globalized world without well-defined landmarks, or a question of time necessary for the religious immigrant population tointegrate into theWestern societies, which is generally resolved with the change of generations in the immigrant populations. If the existence ofsecularization is almost uncontested – at least with the developed countries – its interpretations are a different story.There are numerous interpretations of secularization, advanced by sociologists, theologians, philosophers,andpolitical scientist.Almost all of them have contributed to the understanding of the phenomenon, since several different factors have contributed to the erosion of political importance of religion (and the Church),as well as to the secularization on individual level (erosion of observation of religious practices, values, and beliefs) or what we can refer to as secularization of minds. There are interpretations of secularization that attempt to explain secularization from the institutional position of the Church within a given country, or from the “religious market” point of view. 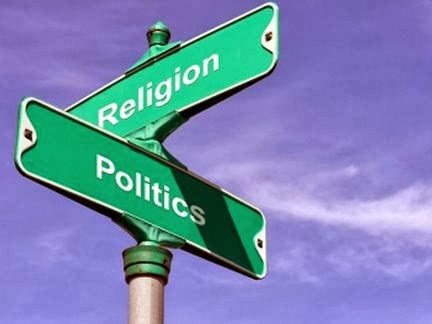 One of such interpretations consists in the view that the effects of religious pluralism create competition among churches and have a positive effect by stimulating the activity of religious organizations competing for public attention. On the contrary, the secularization is more advanced where the competition of religions is almost non-existent, i.e. where a single religion dominates or there is an established national Church, often regulated and subsidized by the government. According to this theory,the Church in absence of competition becomes ineffective and losses its believers, i.e. secularization is most visible in less competitive “religious markets” .Francis Fukuyama offers a similar approach and explains the secularization process through strictly institutional arguments. He advances the idea that secularization is promoted within those countries where the Church has an established national character, and on the contrary, hampered in those countries (such as US) where there is no established Church: “What kept alive religious feeling, it would appear, was less the specific doctrine of the church (e.g., Catholic or Protestant), so much as whether the Church was established or voluntary” […] “The reason for this apparent paradox is that when religious identity is mandatory, it often begins to feel like an unwanted burden”.These interpretations of secularization have several weaknesses, which have already been revealed by other scientists. First, originally every nation had an established Church, and yet secularization took place anyway,so we have to at least admit that there are some other reasons to explain it. Second, at the same time the secularization continues its progress in countries where there is no state religion, orwhere it is not mandatory (where the religious market is competitive), whichleads us to believe that there are some other explanations for secularization. Finally, considering thefact that originally all countries had an established religion, it is true that within countries where there is not one,the process of secularization has already taken place, and thusit is normal that it is less noticeable than in those countries, where there is an established state religion. More convincing interpretations of secularization are of political and socio-economic nature.